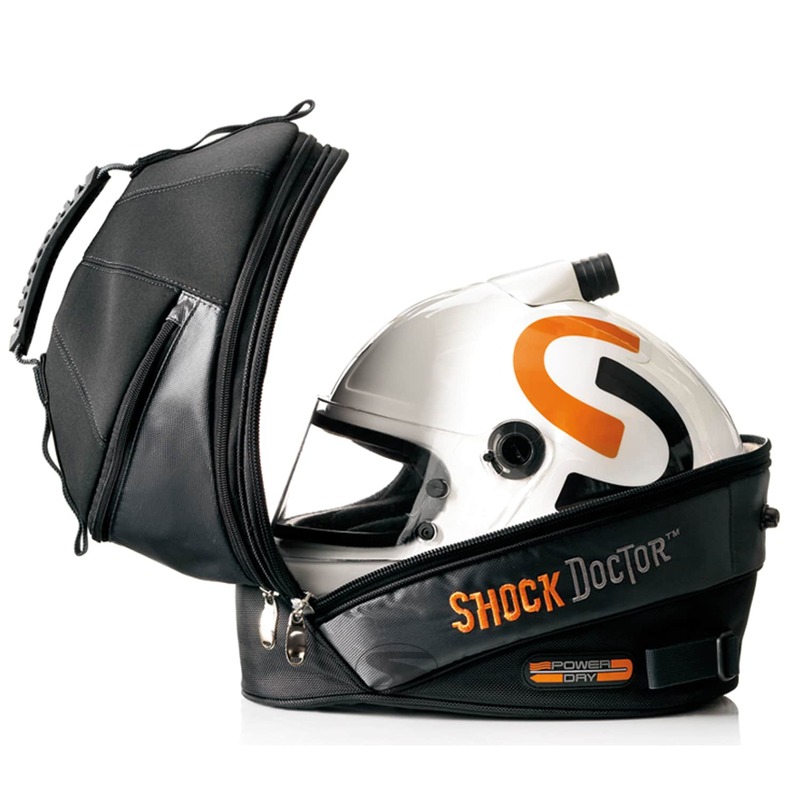 The Shock Doctor Helmet Bag is made of sturdy nylon, combined with a sturdy neoprene and will protect your helmet en route to, and at, the circuit. With the soft silicone grip, the helmet can be safely and comfortably transported in the bag. Built-in ventilation openings ensure a constant ventilation of the interior. 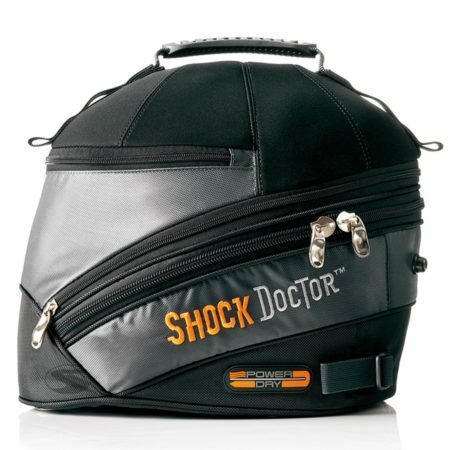 The Shock Doctor helmet bag is for use with open and full-face helmets.